Over the next few weeks we are excited to congratulate and introduce the first cohort of TAP grant recipients. Antony loves to learn. Just not in a classroom. 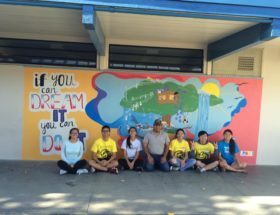 Rather, he prefers gaining knowledge through experiences–painting murals at schools that promote encouraging and positive messages, organizing events to create care packages for the homeless, and even hiking active volcanoes in Nicaragua. Antony recently graduated from Andrew Hill High School in San Jose, California. He was a four-year Cross Country runner, Associated Student Body Treasurer, and President of the Acts of Random Kindness and Paint A Change Club. In his extracurricular activities, he aspired to make a difference in his community. 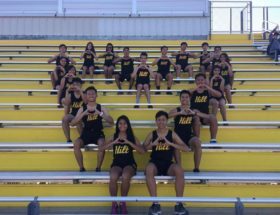 From motivating his team with his pre-race speeches to making chants to encourage new runners to not give up, Antony has led his Cross Country team as Captain in his senior year. However, he was not always as interested in the sport as he is currently. In middle school, he absolutely despised running or any type of exercise. It was not until high school that he realized that he had to prioritize education and living a healthier lifestyle over playing video games. Antony joined the Cross Country team in his freshmen year, and has never looked back since. His worst memory is when he ran with the Cross Country team in scorching Californian weather in a black t-shirt, skinny jeans, and converse. Yet, after four years of staying in the sport, Antony has developed a love for running. He aspires to run many marathons in his lifetime, and will always look out to help anyone who wants to live a healthier lifestyle. Antony has been apart of several clubs throughout his high school journey. 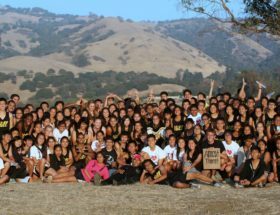 Paint A Change, a club he founded alongside his friends in his junior year, was also apart of the picture. 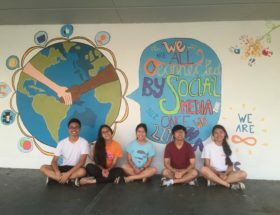 In this club, Antony organized events where students could paint murals for elementary, middle, and high schools, to spread messages of positivity. Some of these messages were campus unity despite race and gender, social media and its positive influence to society, and if one sets their mind to something, they can do it. Antony joined Acts of Random Kindness club in his freshmen year after seeing how one action can create a chain reaction of positivity. Antony has since led his club as President to creating projects and events that spread a positive message. His most memorable campaigns included organizing a student-led teacher appreciation week, which displayed posters throughout campus for teachers, as well as a holiday care package distribution for the homeless. Together, his club and other clubs in the NorCal region packaged hundreds of care packages with supplies for the homeless in downtown San Jose. apprenticeships, and living with a host family. Antony is very excited to embark on this journey. He loves travelling and exploring different cultures and traditions. He is excited to teach English to students, incorporating his own methods to ensure that the language is easily understood. 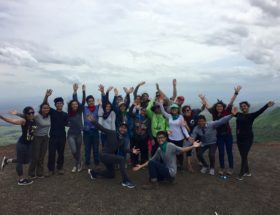 Antony’s plan for high school and college did not include a gap year when he first entered his freshman year, but after his trip to a developing country, he felt that life was too short to pass on an opportunity like this. After living in Nicaragua for three weeks, living on a dollar a day, and working like a local in the markets, Antony has experienced a portion of how some people in developing countries live. It means the world to Antony to help these communities, especially those which have students working to support their families financially instead of pursuing education. Antony believes that education is the neutralizer in society between all social classes and wishes that everyone has access to one. To Antony, taking a gap year means having the strength to defy the traditional blueprint for students, to follow and pursue your dreams, and to live life to the fullest extent. After his trip, he plans to travel to each and every continent, despite the potential language barriers and financial struggle. Antony has a love and passion for contributing to organizations, projects, and programs that will help him make a difference in the world, and by taking a gap year to Ecuador, he feels that it is a step in the right path. Antony currently lives with mother and grandparents in San Jose, California. He has worked at McDonalds and Best Buy in order to help support his family as well as to save up for trip expenses and tuition. 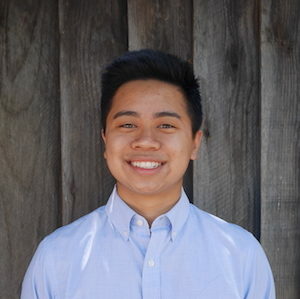 He wishes to attend the University of Davis with a major in international relations upon his return so he can find a career that aligns with his goals helping others around the world. 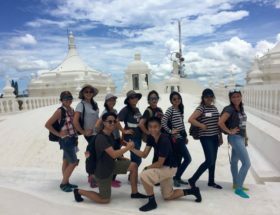 This entry was posted in blog, Education, Gap Year Benefits, scholarships, Study Abroad, Uncategorized. Bookmark the permalink.